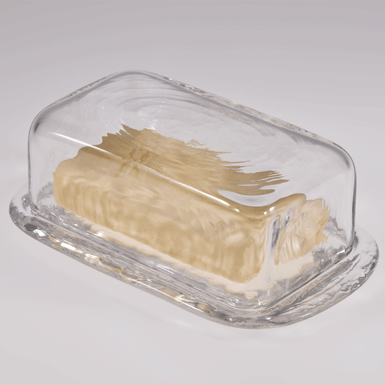 Burriera is the popular butter dish where you just put on the lid and store it in the fridge. It´s on the wedding list of most couples. Upper part Mouth-blown into the mould with flamed rim. Lower part cast.